One of the items you likely have in your first aid kit has another purpose. Cleaning with hydrogen peroxide is a fantastic way to clean without chemicals. Hydrogen peroxide has many uses. And many people already have it in their home, usually in the bathroom, under the sink. It’s often associated with preventing a cut from getting infected. You actually might be doing more harm than good when using hydrogen peroxide to clean a cut. But don’t try to convince your family or friends about that. You have to pick and choose your battles. Here’s a great way to get someone you care about to ditch their toxic household cleaners: tell them about cleaning with hydrogen peroxide! Your friends and family who still use toxic cleaners may not realize they can clean their home with all-natural hydrogen peroxide. Using it as a cleaner is easy and relatively safe. You can also combine hydrogen peroxide with two other common household items: baking soda and vinegar. The easiest recipe to make for a natural house cleaner is to combine a 50/50 mix of water and hydrogen peroxide in a spray bottle. Once you make your solution, keep the spray bottle in your shower. You can spray all areas of your shower to prevent bad bacteria from growing. You can also use hydrogen peroxide as an inexpensive cleaner for your teeth and mouth. Use the same 50/50 mix of water and hydrogen peroxide. When using the mixture for oral cleaning, be careful not to swallow it. Swishing hydrogen peroxide and water in the mouth for a minute can freshen breath. And it can also treat canker sores and swollen gums. Just be sure to spit it out after. Most of the focus on cleaning with hydrogen peroxide is centered around the home. There are dozens of cleaning applications. But you can also use hydrogen peroxide to clean your body parts that are prone to infection. Hydrogen peroxide is great for this because It’s an effective natural anti-bacterial. One study examined the effectiveness of hydrogen peroxide for treating bacterial vaginosis. The women involved in the study had recurrent infections and were resistant to other forms of treatment. Vaginal irrigations with 30 ml of hydrogen peroxide (3%) were prescribed in the evening for a week. But let’s get back to cleaning around the house with hydrogen peroxide…. Spray hydrogen peroxide directly onto countertops. Let sit for several minutes, then wipe clean. You can also spray some hydrogen peroxide in toilets. Same thing: let the hydrogen peroxide soak and then scrub away. Clean your fridge with hydrogen peroxide, too. Hydrogen peroxide is a natural bleaching agent. You can spray it on carpet stains, even blood or red wine. Hydrogen peroxide is for the most part harmless unless you swallow lots of it. 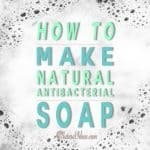 It is a natural antiviral, antibacterial and bleach. When you clean with hydrogen peroxide instead of using toxic products, you’re not only benefitting your health, you’re also saving money. Hydrogen peroxide itself is very cheap. Small bottles of it that are most often stored under the bathroom sink for first aid kits usually sell for about a dollar. If you plan on cleaning your home with hydrogen peroxide, you’ll probably want larger quantities of it. It’s more convenient to have a large bottle of it instead of several small bottles. There are several hydrogen peroxide cleaning products on the market that come in larger sizes than the small bottles at the dollar store. Just be certain to read the other ingredients and make sure they are not toxic. To be absolutely sure, you can research the name of the product on the Environmental Working Group website. If you have children, remember to keep hydrogen peroxide well out of reach. Place child-proof locks on cabinets. If swallowed, hydrogen peroxide can cause vomiting and foaming at the mouth. If you prefer a powdered form of hydrogen peroxide, you can buy sodium percarbonate. Sodium percarbonate may be more effective at stubborn stains that require some elbow grease. Caked-in dishes comes to mind. Sodium percarbonate is very concentrated, so you don’t need as much of it to clean. Follow this recipe for cleaning stains on clothing, carpets, upholstery and more…. Fill up a spray bottle with 3 tablespoons of baking soda and the rest of the spray bottle with hydrogen peroxide. Shake well and spray directly on the stains. Let soak for several minutes. You can also just use one cup of hydrogen peroxide to your washing machine instead of bleach. Just like any regular bleach, though, if you use hydrogen peroxide on dark clothes, the color can fade. Test the peroxide only on whites. Mix a half gallon of hydrogen peroxide with half a gallon of water as a highly effective floor cleaner. You can mop away dirt just as you normally would. The best part about cleaning floors this way is there is need to rinse. To remove greasy, grimy, oily stains, you may want to clean with hydrogen peroxide and baking soda. But to remove soapy stains as well as rust, and other non-dirt related deposits, such as mineral rot, you’ll need to combine hydrogen peroxide with a more acidic agent. That’s when cleaning with hydrogen peroxide and vinegar comes in handy. You can mix hydrogen peroxide with white vinegar for musty, funky smells to get rid of the odor. You can even use hydrogen peroxide to clean your ears. If you have swimmer’s ear, or even an infection, using a dropper, place 6 – 8 drops of hydrogen peroxide in each ear. Let’s revisit those little brown bottles of hydrogen peroxide under millions of people’s bathrooms sinks. Those bottles are a 3% solution of hydrogen peroxide. This is the same strength you’ll need to fight stubborn stains and use for other cleaning purposes. Keep in mind if you’re going to keep hydrogen peroxide in a bottle, make sure it’s a dark bottle. Also make sure the nozzle on the top is opaque. Sunlight and heat can weaken hydrogen peroxide. This is very informative article and excellent guide. Natural cleaning product is always good for our home remedies. We need to clean our washroom regular basis after 15 days within a single month. Thanks for sharing this post. Wonderful suggestions! No harsh chemical cleaning is the way to go. Chem-Dry doesn’t use harsh chemical either and also uses carbonation to clean. Thanks again for your post, Lisa!